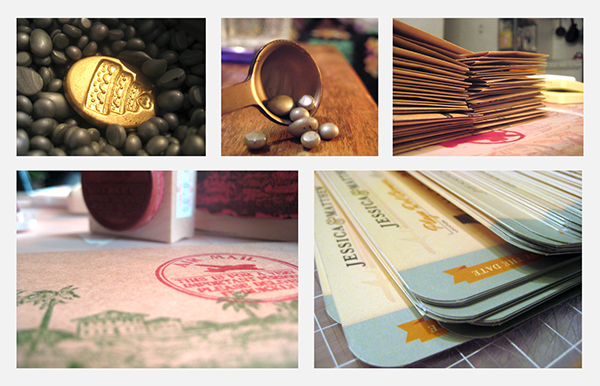 Challenges: Design print materials for a destination wedding in Playa Del Carmen, as well as a keepsake for the newlyweds. 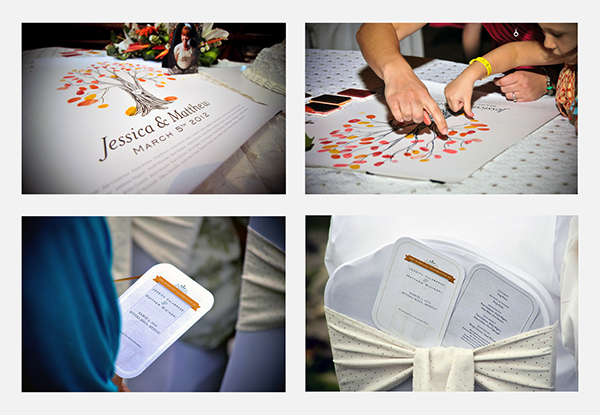 Solution: Designed ‘save the date’ invitations with a travel theme to let guests know the wedding was out of town. 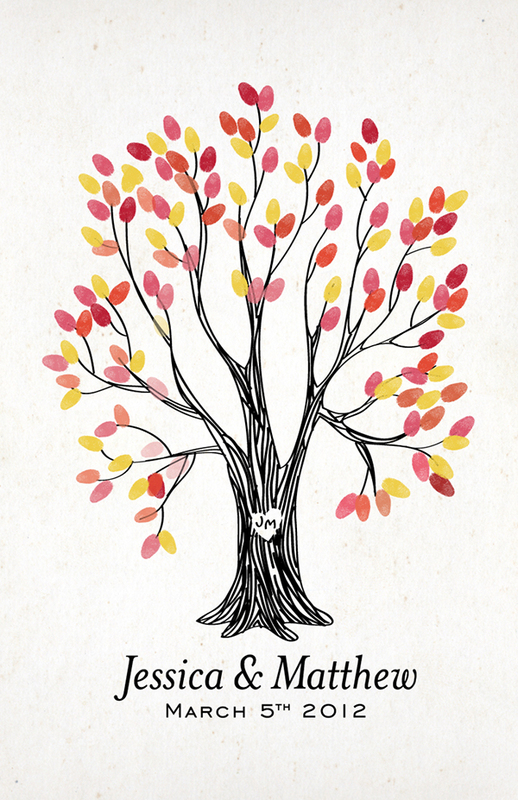 Designed a poster for the wedding where friends and family made their mark with fingerprint leaves on a bare tree. Save the date invitations, and poster design for a destination wedding.